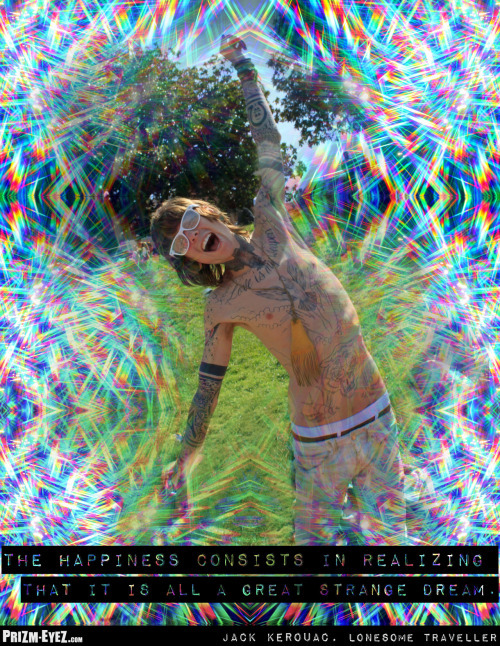 Chris from Never Shout Never wearing PrizmEyez in Dolores Park in San Francisco. He crawled all over the grass, roared like a tiger, and then lay in zen meditation mode peacefully next to my friend Angelica, who was wearing minnie mouse ears at the time. Quote by Jack Kerouac.